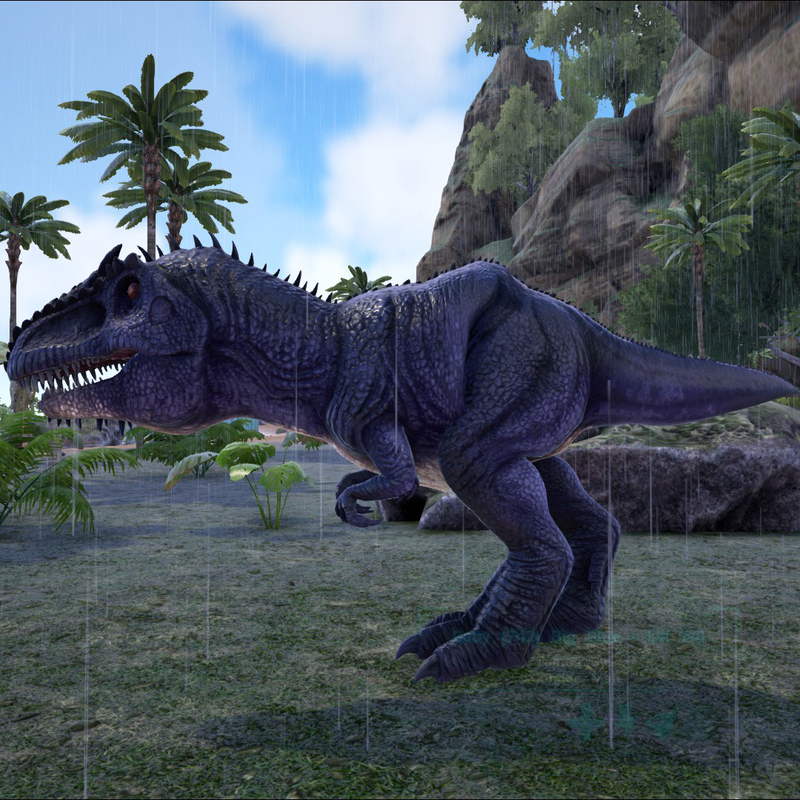 *tour guide voice* Above you can see our new baby Giganotosaurus, hatched by the Sky tribe! This was one of three baby "gigas" hatched recently by one of the caretakers (*cough*me*cough*), and we hope it will grow to big bigger and stronger than its parents! One of my late nights was spent hatching a bunch of dino eggs on Ark and this was one of those baby dinos. Don't worry about that weird hump in its back; it goes away as it grows up. Okay, back to the real world. I babysat a bit this week. The little boy I've been babysitting is just adorable, but he's entering his terrible twos so his mother and I have been having some issues with him being a bit... disputatious. He spent an unfortunate amount of time in time out. LOL. Besides that I've been troubleshooting my new contacts. Up until tonight I had decided that I was going to repurchase a different brand of contacts because I was having difficulties with discomfort with the set we bought in Itaewon. I already switched to a different contact solution and noticed a difference in my comfort levels, but there was still something that didn't sit right with me. Tonight while putting in my contacts (because I'm no longer a normal functioning member of society and wake up for my 'day' at 8pm) I made a point to 'scrub' the contacts on my hands with some fresh contact solution before putting it in, and my comfort level skyrocketed. I'll admit, I'm lazy and don't always do that scrub after I take out my contacts/before putting them in. The thing is, with my previous brand of contacts (Biofinity) I never had to. If this is all that I need to do to maintain a comfort level for my eyes, however, I can adjust and start doing that. So far it's been working fine and these contacts have been in for almost 4 hours now. I'm super psyched if that's all that I needed to do to get the same level of comfort. I had to re-do my NEO packet as it somehow got lost the last time it was in someone else's hands to check it over for us. I wasn't too happy about this, but Michael and I sucked it up and filled out the packet again and got all of my important information together. In short, this is the packet I need in order to evacuate from Korea, if the need ever arises. So for it to be lost is kind of a big deal. Sigh. Note to self: wear sun block. I spent a total of maybe 30 minutes out in the sun across three different incredibly short walks to get from point A to B, and my face is a rather unflattering shade of pinkish red. There's sunkissed and then there's me, who skips straight to sun-slapped. Thank you, skin. Okay, that's my quick update. Nothing really exciting going on in my life, besides dealing with the heat while keeping our electricity bill low. Yay, high cost of living!